Ada pertanyaan untuk Nouvelle Hotel Johor? 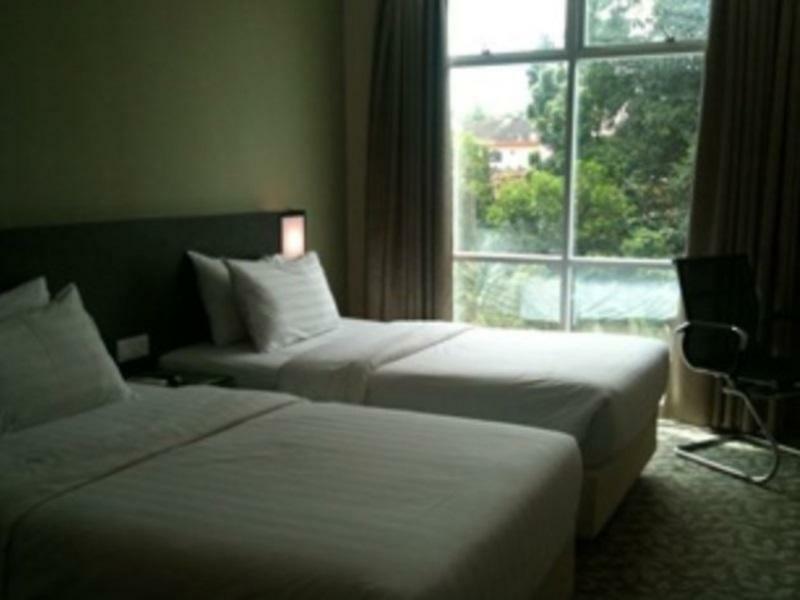 Bagi para wisatawan yang ingin menjelajahi kota Johor Bahru, Nouvelle Hotel Johor adalah pilihan yang sempurna. Dari sini, para tamu dapat menikmati akses mudah ke semua hal yang dapat ditemukan di sebuah kota yang aktif ini. Hotel modern ini terletak di sekitar obyek wisata populer kota ini seperti AIr Terjun Pulai, Johor Premium Outlet, Palm Resort Golf & Country Club. Nouvelle Hotel Johor menawarkan pelayanan sempurna dan segala fasilitas penting untuk memanjakan para wisatawan. Hotel ini menyediakan satpam 24 jam, resepsionis 24 jam, fasilitas untuk tamu dengan kebutuhan khusus, tempat parkir mobil, restoran untuk menjamin kenyamanan terbaik bagi para tamu kami. Masuki salah satu dari 126 kamar yang menggoda ini dan lepaskan rasa penat Anda dengan sejumlah fasilitas yang tersedia seperti televisi layar datar, AC, layanan bangun pagi, meja tulis, bar mini. Disamping itu, hotel memiliki berbagai pilihan fasilitas rekreasi yang menjamin Anda melakukan bermacam hal selama menginap. Apapun tujuan kunjungan Anda, Nouvelle Hotel Johor adalah pilihan istimewa untuk menginap di Johor Bahru. I was there for business purpose. The location of the hotel is easy to find. A lot of parking space available. The check in processing is quick and friendly. I will recommend this hotel for business travelers. The hotel room is very smelly, full of carpet smell. The room's safety lock was not working. Besides, the room's toilet is very dirty and moldy, especially the toilet bowl which is full of black color stains. The tables are dusty, believed it's not being resided by guests for long time. As my colleague and I were very tired and checked in late, we just stayeda night there. The breakfast set was very simple and small portion. We could only chose nasi goreng set or american breakfast set which serves with coffee/ tea. The restaurant is full of flies and doesn't seem like fulfilling the basic hygiene standard. We felt very annoying with the flies. This hotel seriously requires revamp as it's very old and smelly. Not worth for money paid as I could have booked another better hotel room with the same rate. Will not go back to the same hotel again. This hotel requires serious refurbishing. My room had : 1. cracked plaster ceiling in the bathroom 2. rusty metal frames under the glass tables 3. mouldy dressing mirrors 4. Mouldy toilet seat cover (when you uncover the toilet seat, the moulds can be seen) 5. Spoiled door lock 6. rusty water from the sink tap 7. insects crawling out the bath tub drain hole 8. dark surrounding outside streets, the parking lots lights were dis-functional 9. side walls of bathtub have black moulds growing in the lines between the tiles. 10. Poorly outdoor corridors. I had feared for my safety in the room and also feared someone might harm my car even though I parked right in front of the hotel entrance where it was visible from inside the reception. The location was quite noisy at night. Motocycle racing at night. Overall was not bad. Have requested to change room due to air cond not function and found out bed dust mite , end up the other room still the same , room face to the main road was so noisy . Breakfast not nice . 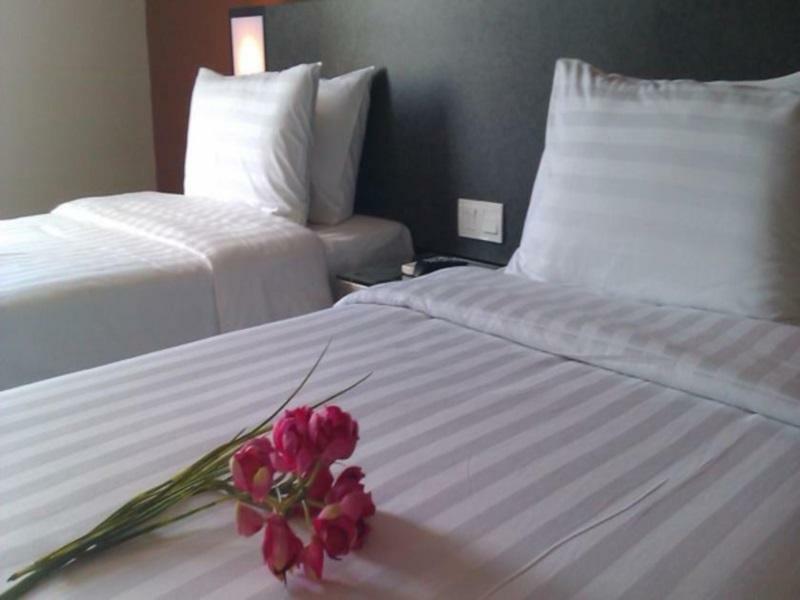 Cleanliness and facilities can be improve..
Standard room is spacious. Facility is good. However, there are weird smell from the toilet and need to buy some fresherner to help reduce the smell. For muslims, there provide Qiblah direction. Breakfirst was okay. There are no water heater in bathroom. The room looks very old, dirty and smelly. I have killed 2 cockroach when I enter the room. Refrigerator and hair dryer in room totally cannot use. The air conditional is not cool also.